More than once I looked at the clock only to realize I had been playing for several hours without realizing it, and that’s a pretty strong endorsement. Players who missed this on the PS3 will find a lot to like here, but for those who have already completed it I doubt the graphical upgrade is worth another play through. The Last of Us is a great action game that you should play if you haven't already. And if you have played it before, the improvements here aren't so dramatic as to make the game feel like a new experience, but it is definitely one worth revisiting. In the world of The Last of Us, as in our own world, love might destroy you, but it's also one of the only things worth fighting for. ...a mighty fine looking title, and its framerate and resolution improvements only serve to solidify that. Of course, the onboard add-on packs and smattering of superfluous extras ensure that this is the definitive edition of an already outstanding affair – but, unsurprisingly, it’s the touching tale at the heart of the package that once again sets it apart from its peers. In 2013, I called The Last of Us on PlayStation 3 a masterpiece. The same holds true of its PlayStation 4 "Remastered" sibling. You can’t go wrong with either version, but with Remastered you’ll get a better framerate that smooths out gunplay, a prettier, sharper look, and a bunch of DLC content rolled into the package from the get-go. The Last of Us Remastered takes a modern day classic and makes it even better. Moving as smooth as ever with 60fps and brand new higher resolution character models, Joel and Ellie have never looked better than they do on the PlayStation 4. In addition, we also get the major DLC released over the last year, including the story DLC that dives further into Ellie’s past. With most ports of last-gen games, the verdict is to only buy it if you haven’t played the original. The overhaul feels a lot more significant, more than you'd expect for a game that's really not that old, and as such it may indeed be worth picking up, even for those who experienced the PlayStation 3 version. Still, as terrific as the game is, and as nice as the updates are, this is a port, and it does feel like more of a fresh coat of paint as opposed to an actual remaster. These are simply things one would do well to expect so as to avoid any potential disappointment. 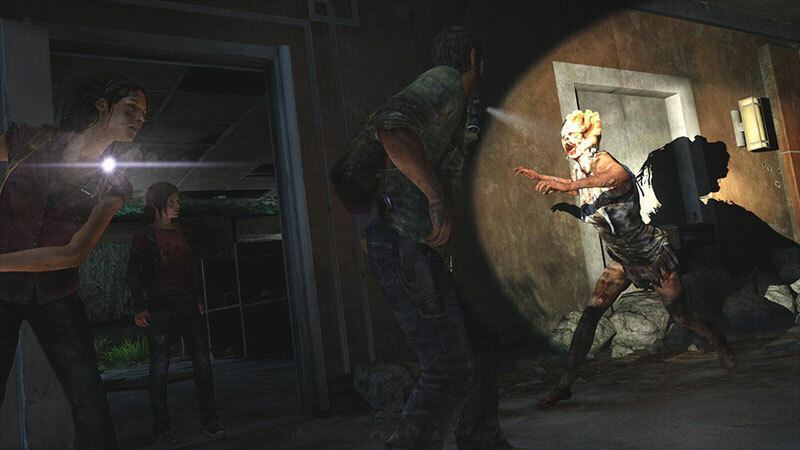 All the graphical improvements are wonderful, but you may be wondering if The Last of Us Remastered is for you. Like the best visual updates, Remastered plays like you remember it. If you played 2013's Game of the Year near release and have been dying to return to the dark tale, then this is a great opportunity. If you never played The Last of Us at all, this is absolutely the way to do it. 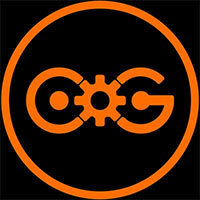 But be careful - you'll never want to go back to the PS3 original again after reveling in all the improvements. All told, The Last of Us Remastered is the best version of one of the last generation's best games. Those expecting it to look totally 'next-gen' may be disappointed, as even at its peak it resembles a last-generation game being played at Ultra settings on PC. Still, it's obvious a lot of work and care has gone into this, and it will please both newcomers and old fans alike. The Last of Us Remastered is the definitive The Last of Us experience. Its multiplayer is better, its level of immersion is higher, and its emotional impact is more profound thanks the inclusion of Left Behind. ...Those who have never experienced Naughty Dog’s crown jewel are in for a treat, as are those who are ready to experience it for a second time. This is one of the best console ports in recent history, as it manages to fully capture the spirit of the original while improving upon it in nearly every way. Overall, The Last of Us Remastered is as good as it gets thus far. Already a masterpiece, an upgraded Last of Us was going to be a win, but with the also brilliant Left Behind included as well as the resurgence of the multiplayer and the bonus featurettes, the remastered version is the best thing out right now. Even though Sony is trying to wrangle every dollar possible out of us gamers, The Last of Us Remastered is a must buy for long time fans as well as new players looking for a great game for their PS4. I can’t recommend this enough. 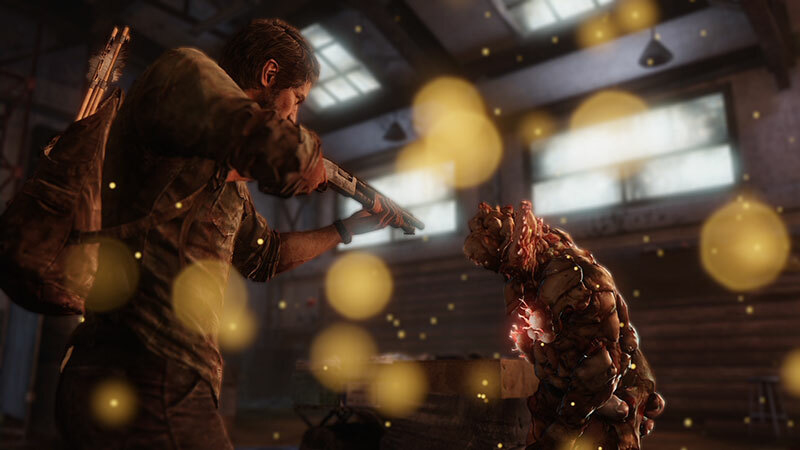 Even if you’ve already played The Last of Us on the PS3, it’s still worth revisiting. Sure, you’ve been through it all before, but the game’s an emotional roller coaster that warrants a second ride through, thanks to all the bells and whistles that come with improved hardware. 2014 is indeed the year of the remaster and The Last of Us Remastered is undoubtedly the best of the bunch. There's not really enough distance between the PS3 version of The Last of Us and this new Remaster to make it worth double-dipping, unless you're simply that fixated on counting lines of resolution. If you missed out the first time around, though, you really shouldn't let it slip past again. While it often works better as a movie than a game, it still stands at the state of the art. And the writing is good enough to enjoy even if you hate zombie genre fiction (like I do). The Last of Us is about refinement, not innovation, and this version takes the art of refinement another step forward. If elsewhere your interactions with the world amount to little more than pressing a button to prompt additional dialogue, the contextual rewards are worth it. And when the action arrives, it's as good as ever, adding an extra wrinkle to combat. Fungal foes briefly become allies, as you smash bottles to guide them towards human pursuers: a necessary evil because you're less well-armed than in the main game. Simply put, The Last of Us: Remastered is just better than the PS3 version. If you are lucky enough to be experiencing The Last of Us for the first time, then you are in for an amazing treat. If you have already purchased the original game, then still consider picking this up. Heck, trade in your PS3 version if you can. This is by far the definitive version of the game, and if you can get the price reduced even a little bit it’s likely worth your money. Technically speaking, The Last of Us is still one of the more incredible feats of engineering given how beautiful its animations, textures, and sound design come together. One of my favorite moments in the entire game comes fairly late and precedes another spoiler. ...If the film does come together, The Last of Us presents a serious, visually-stunning, and intelligent world to explore, but I actually liked leaving it behind after my first playthrough. ...any negative impression is constantly overshadowed by the enhancements that Naughty Dog has etched into a wonderful core concept. Naughty Dog gives PlayStation gamers a second, definitive chance to experience one of the greatest video game stories. The Last of Us Remastered's additional content, visual enhancements, and improved performance leave very little standing in the way of a perfect encore. 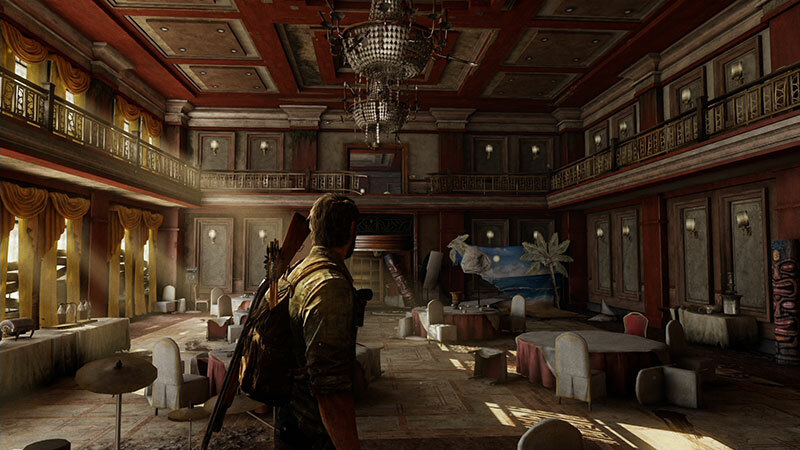 The Last of Us Remastered is a better-looking, better performing version of an already incredible game. As such, those who haven't played the original version should buy immediately, and those that have probably should as well. The Last of Us llega a PS4 con el pack más completo, incluyendo campaña y contenidos descargables, dentro de una remasterización que brilla por pulir las pequeñas imperfecciones técnicas del original.... Para los que quieran revisitar las hazañas de Joel y Ellie es una buena opción, aunque para los que está especialmente indicado este lanzamiento es para aquellos que no pudieron disfrutar en su día de este espléndido exponente dentro del género aventurero y de la acción. Un "must-have" en toda regla. Si ya lo jugaste y estás dudando si las mejoras compensan el nuevo desembolso (49,95 euros precio oficial, más barato si buscas un poquito), tendrás que poner sobre la balanza un montón de variables, como el hecho de haber jugado o no a Left Behind, la importancia que le des a los contenidos multijugador, la curiosidad que tengas por escuchar los geniales audiocomentarios, las ganas de ser un artista con el modo Foto, y lo fanboy que seas de los manidos 1080p 60fps. The Last of Us: Remasterizado es una revisión y pack definitivo como ningún otro título ha conseguido en lo que llevamos de generación, nuevo récord en la historia PlayStation. Multitud de extras realmente interesantes, todos los DLCs incluido Left Behind y un tratamiento mimado como la joya de juego que es hacen a esta edición la, sin duda, más recomendable y honorífica, imprescindible para caprichosos fans empedernidos y para quienes no conozcan aún a qué viene tanto bombo con esta obra maestra. Über die inhaltlichen und spielerischen Qualitäten von The Last of Us brauche ich nicht mehr viel zu sagen: Der Titel von Naughty Dog ist ganz große Videospiel-Unterhaltung auf höchstem Niveau, die durch die Integration von Left Behind auf der PS4 noch einen Hauch mehr Glanz bekommt. Gleiches gilt für die Technik, die vor allem von der höheren Bildrate profitiert und dadurch auch das Spielgefühl durch präziseres Zielen bereichert – und das sowohl in der Kampagne als auch dem gelungenen Mehrspielermodus. Überhaupt ist es rein mechanisch gesehen vermutlich das erfüllendste aller Spiele dieses Entwicklers. ...Wie The Last of Us beiläufig neue Optionen im Kampf offeriert, während andere schwinden, weil man vielleicht nicht aufgepasst hat, ist absolut einzigartig. Nur wenige Spiele bieten einen derart dynamischen, sandboxartigen Ansatz in ihren Kampfsystemen und sind zu so starken Stimmungswechseln in der Lage. 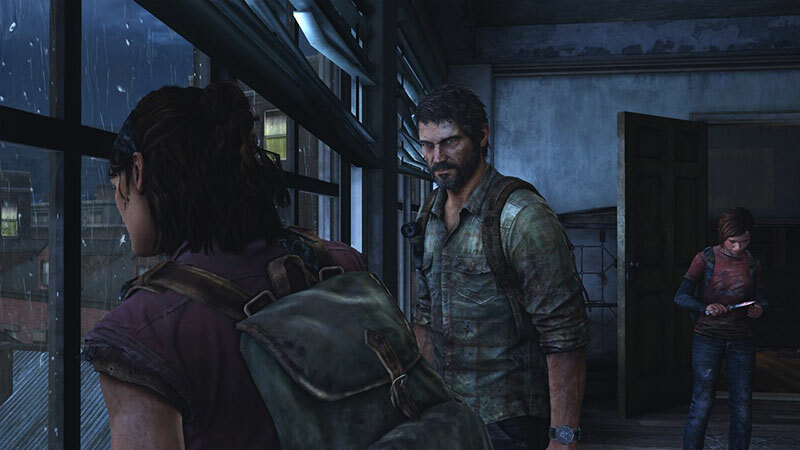 Faut-il craquer pour The Last of Us Remastered ? Oui, si vous n'avez pas encore eu l'occasion de goûter à l'un des derniers masterpieces de la PS3. Sans forcer, le jeu profite des capacités de la PS4 pour afficher des graphismes en 1080p d'une netteté quasi irréprochable...The Last of Us Remastered ne dispose d'aucune innovation majeure justifiant un nouveau passage à la caisse, et le contenu du jeu se contente de reprendre les DLC proposés au compte-gouttes par Naughty Dog. Mais que l'on soit d'un côté ou de l'autre, le jeu reste une tuerie à posséder absolument. 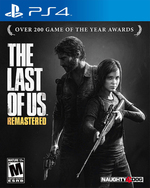 The Last of Us dans sa version Remastered ne vous laissera sûrement pas de marbre. Si vous n'avez pas tenté l'expérience sur PlayStation 3, cette édition vous emballera à coup sûr puisqu'elle propose l'aventure complète, l'excellent DLC Left Behind, et la totalité des contenus multijoueurs sortis. ...Même un an après sa sortie, le titre reste une excellente expérience, poignante et marquante. Si The Last of Us Remastered ne chamboule pas l'ordre établi par la version originale, force est de constater que la magie opère toujours. Les ajouts techniques améliorent une expérience de jeu déjà très costaude et optimisée. Hier incroyable sur PS3, il reste toujours aussi efficace sur PS4, malgré le peu d'ajouts au niveau du gameplay. Époustouflant est le mot qui résume le mieux The Last of Us et l'expérience qu'il propose. Le titre de Naughty Dog débarque en patron avec le double exploit de s'imposer instantanément en tant que nouvelle licence et d'établir un nouveau standard de qualité pour les jeux triple A. Car The Last of Us n'est pas juste le plus beau jeu actuel ou une histoire forte, il est la synthèse de tout ce qui s'est fait de mieux sur cette génération. Fatto sta che a Naughty Dog basta un restyling grafico per spazzare via la concorrenza su PlayStation 4 e imporsi nuovamente ai vertice del catalogo della console di Sony. ...La valutazione di questa edizione tiene dunque di un gioco che è a tutti gli effetti un capolavoro, e di un lavoro di adattamento professionale e puntuale ma senza particolari spunti. The Last of Us Remastered è un buon pacchetto, un ottima tirata a lucido di un’avventura che ha indelebilmente segnato una generazione di console (e di giocatori?) e un acquisto praticamente obbligato per chiunque non l’avesse provato su PlayStation 3. Chi, invece, si è già goduto l’avventura di Joel ed Ellie, può passare alla cassa solo sapendo bene che andrà incontro allo stesso gioco, con una veste grafica migliorata, ma che difficilmente lo farà gridare al miracolo. Tidak seperti game lainnya, apa yang membuat The Last of Us begitu menarik bukanlah gameplay penuh aksi yang mendebarkan. ...Demikianlah kesimpulan yang bisa saya ceritakan tentang The Last of Us. Apapun pilihan kamu, jangan pernah berpikiran untuk melewatkan game ini sama sekali. 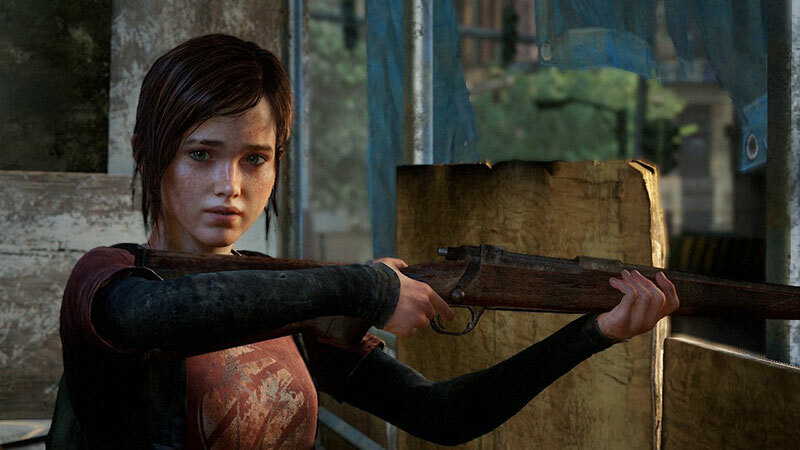 Karena game seperti The Last of Us belum tentu keluar setiap tahun. Jadi, sekali lagi, jangan lewatkan melodrama di dunia setelah apokalips ini. The Last of Us: Remastered doet zijn naam op grafisch gebied veel eer aan, ondanks dat duidelijk is dat je te maken hebt met een game van de vorige generatie. Daarbij moet de originele ervaring volgens de studio intact blijven maar de schoonheidsfoutjes die je uit de sfeer van de oorspronkelijke game haalden, doen dat nu nog steeds. ...The Last of Us: Remastered blijft een schitterende titel met één van de meest memorabele verhalen uit de recente gamegeschiedenis. Wie tijdens het spelen van The Last of Us op de PS3 vooral kon genieten van de geweldige omgeving van de postapocalyptische wereld, heeft wel degelijk meer om van te smullen. Over de vernieuwde graphics valt immers absoluut niets te klagen. Blijf op daken van hoge gebouwen vooral even stil staan om de omgeving in je op te nemen. Het is ongelofelijk hoe gedetailleerd alles is en met de verbeterde belichting lijkt het allemaal zó echt, dat je gewoon vergeet dat je er niet zelf staat.